This year marks the 10th annual World Labyrinth Day on 5 May 2018. People all over the world in over 20 countries will globally “Walk as One at One”. Thus a universal wave to promote a more mindful, focused and unified society will sweep the planet as people will walk labyrinths at 13hoo pm in their respective countries. We encourage all South Africans to find a labyrinth in their area (labyrinthlocator.com) and join us at one pm to walk for peace, internal focus and personal strength. In medieval times labyrinths are found in churches, with Chartres Church in France being one of the most well-preserved examples of its time. They were thought to be used for pilgrimages in times of war or famine when long journeys to holy sites where not possible. In modern times labyrinths are found in schools, hospitals, churches, community settings and on private properties. Many people confuse a labyrinth with a maze. Unlike mazes, labyrinths have a well-defined path that leads to a centre and back again. There are no puzzles, dead ends, obstacles or intersecting paths. Labyrinths have become a blueprint for transformation. Saint Augustine said, “Solvitur ambulando…. It is solved by walking”. The winding paths of the labyrinth offer a place for the psyche to meet the soul. “There is a difference between knowing the path and walking the path.” Labyrinths are used as meditation and mindfulness tools. They aid with mental focus, psychological and spiritual growth, and are places for reflection. Because there is both a kinaesthetic and an introspective process during a labyrinth walk they offer a complete mind-body interactive activity. Used as part of therapeutic processes a labyrinth becomes a metaphor for what is happening in your life. Tabula Rasa is an organisation of workshop facilitators who make use of the labyrinth as a therapeutic tool for team building, individual processes, family and couple interventions. They facilitate a creative, immersive experience where new tools and skills can be learnt in an interactive, nurturing environment. 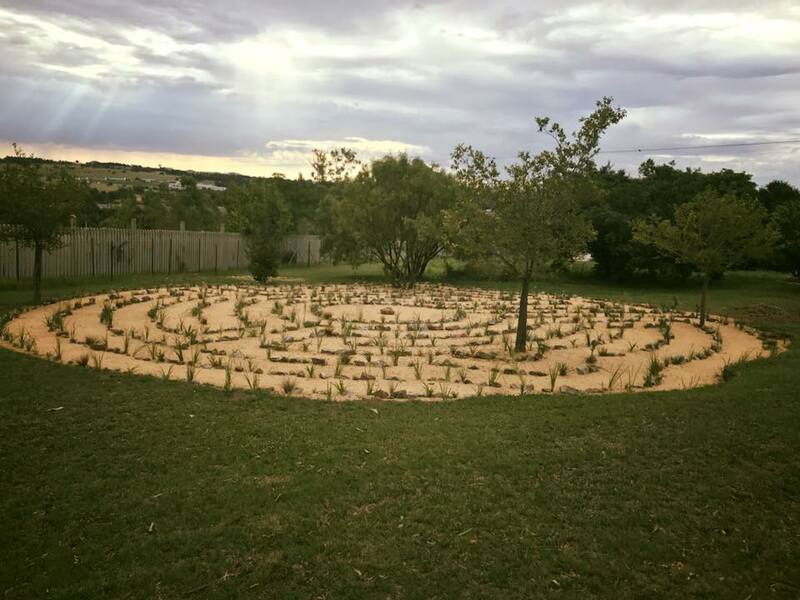 For World Labyrinth day 2018 Tabula Rasa is hosting a joint event with Life Riverfield lodge by inviting high school student leaders and teachers in the Fourways area to join an Open Day at the beautiful newly built labyrinth of Life Riverfield Lodge. (This event is by invitation only). The day focuses on mindfulness tools to assist young people with modern, rushed, pressured times. This includes a labyrinth walk in the theme of World Labyrinth Day – Walk as One at One (1 ‘o clock). Workshops are facilitated by two professionals with over 30 years of experience between them. Dr Leverne Mountany is a Psychiatrist who is a well-known facilitator on national and international platforms. She is enthusiastic about wellness and imparting knowledge. Jocelyn Hall is a Clinical Psychologist who has facilitated extensive corporate processes, team interventions and designed many workshops. 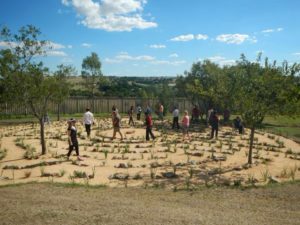 They host workshops at a beautiful full-sized seven circuit labyrinth at Life Riverfield Lodge , and have a portable labyrinth to take to a venue of your choice. Visit tabula-rasa.co.za or Tabula Rasa workshop facilitators on Facebook.